YouTube is a hard place to make money. You either have to sell your creative soul to advertisers, or become one of the 96.5% of YouTubers below the poverty line. The saying “between a rock and a hard place” springs to mind. How on earth do you create a video website? If you’re a web developer, this might not be a difficult one for you to figure out. But if you aren’t (which we’ll assume is the case with you, since you’re reading this right now), then this blog post is entirely for you. In this article, we’re going to show you exactly how to create your own video website without a developer, and how you can start selling your videos online, regardless of your budget. From hosting and design to uploading and payment processing, you’ll find a solution to fit you. If you’re going to build a website, you need somewhere to build it. Which means choosing a platform. But the right website service offers more than a where to build your site—it also offers a how. And that’s where you need to start thinking about trade-offs. There are plenty of options out there, but we’ve boiled it down to your best three options at three levels of budget, goals, and flexibility. Best for you if you: want to create a very basic website with video content, without spending or making money. Tumblr is a great way for bootstrappers to build a video website. It’s free to upload, host and share your videos with the world. If you don’t want to monetize your content – at least not yet – and just want the sweet rush of posting videos online, Tumblr is a good place to start. Otherwise, you’ll be able to go about your daily video business without paying a dime. Not bad, right? But it’s worth noting Tumblr has a few drawbacks. Although it’s the most pocket-friendly YouTube alternative, you compromise a lot in functionality and flexibility. Tumblr acts as a simple video blog. Meaning, there aren’t a lot of bells and whistles to make your video website stand out. Tumblr’s design capabilities are really just templates with interchangeable colors and branding. Your videos also come in two settings, public and private. You can’t choose the specifics of who gets access to your videos. 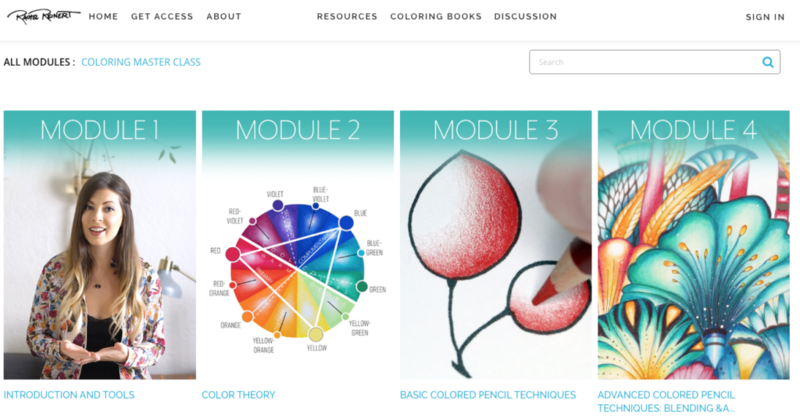 And, if you want to create course-style material, you won’t be able to charge for it or add bonus content like quizzes. If you’re just toying around and want to keep a video-blog style, then Tumblr is your perfect fit. Best for you if you: want to start making money off of your videos, with minimal cost and some work. WIX is what’s known as a typical website builder. It allows you to build websites like LEGO – you choose a kit and you piece the blocks you’re given together to end up with your desired website design. Their e-commerce package comes in at around $20 per month, which you can use to sell your video on either a subscription basis or one-time sales. This is cheap when you compare it with creating a website from scratch, and they provide tools and features for much of the building process. This makes for a professional looking video website even if you have no knowledge of design or coding. You can also create a simple platform to sell your videos online, using their subscription feature. Great for courses or eLearning products! There are certainly some cool features for you to build a website with here. But, the major problems with WIX’s service stems from the fact they aren’t a tailored video website provider. Although you can upload videos from your computer directly to your website, it’s recommended that you host them elsewhere and stream them through the site. Meaning you’ll need to embed a YouTube or Vimeo player into your page. Which, well…puts your right back to dealing with YouTube again. If you’re intimidated by design and want an affordable website, which is simple and easy to run, WIX is a great place to start. Especially if you only have a small monthly budget to get yourself up and running. You can easily sell your videos and create an online video business. But, if you want something more tailor-made for videos, you should take a look at the next option. 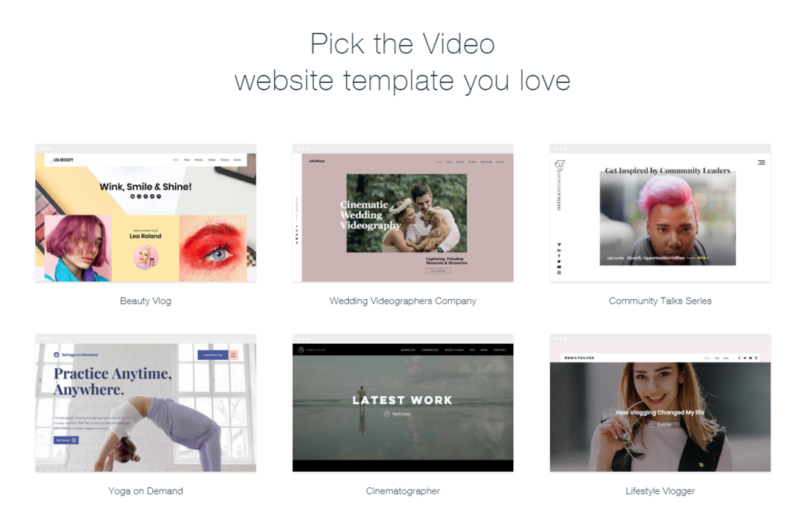 A video website builder made exclusively for video content. Best for you if you’re: looking to start a video website with subscription payment processing, flexible design, and smart category layouts. Uscreen is a video website builder, built entirely to optimize video for streaming, subscription payment processing, and video streaming apps development. Basically, our goal is to help you become the “Netflix” of your industry. Whether you teach, coach, entertain or spark weekly conversations we help you to build a subscription model around your videos. 1. We allow you to build and host your own website using any of our beautiful templates, specifically designed with video streaming functionality in mind. These templates were designed after studying leading video streaming websites, such as Netflix and Masterclass, to make sure they have the same design and function features that make these websites so successful. You can choose your own domain, and create a customized online space for your branding. 2. We make managing your video website and collecting payment so easy through the Uscreen admin area. You can seamlessly upload and host your videos in a few easy clicks, and we give you all the apps you need to take payments, market yourself and grow your audience. 3. We make your videos available on all devices. If your audience wants to watch on their desktop, smartphone, tablet, or TV, they can do so using native apps, without losing any video quality or dealing with clunky designs. Our service isn’t for everyone, though. If you’re just looking to create a video portfolio, or create an online video blog with a small following, you may be better off with WIX or Tumblr. However, if you’re looking to create an online video business, connect with a targeted audience and earn a living from your videos, Uscreen is where you need to be. Users might land on all sorts of different pages on your website depending on how you promote it. But your homepage will always be one of the most important. Your homepage is your website’s chance at a stellar first impression. It represents your brand (design), tells people what your site is about (copy and SEO), and encourages them to take action (calls to action). Most of the services that you might use to build your website will include a few homepage templates. This makes the process easier. Whether you use a template or not, though, you’ll want to put a lot of thought into your homepage. If you need some inspiration, check out this list of 12 critical elements every homepage must have from HubSpot. 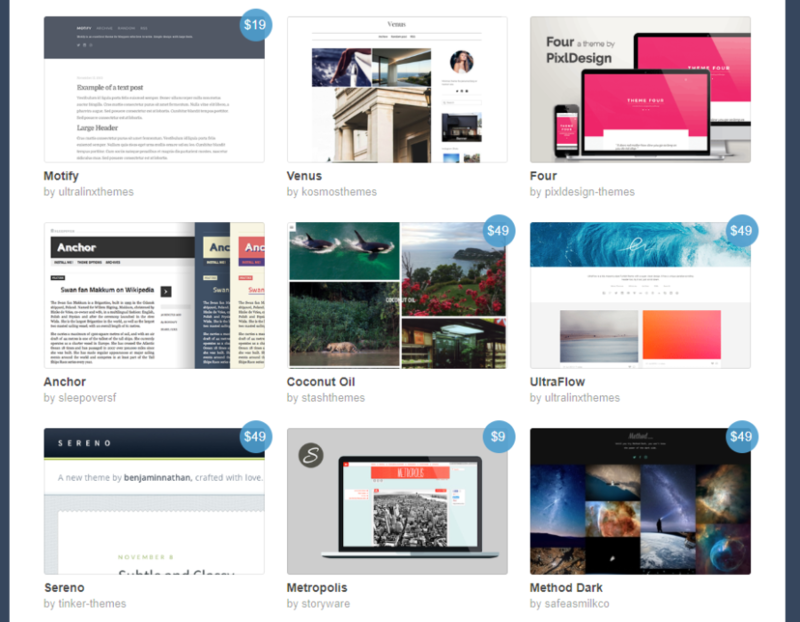 No matter how you decide to create your homepage, spend some time perfecting it. Make sure that you have an attention-grabbing headline. That people know what your videos are about and how those videos will help them. And most importantly, make sure that visitors to your website know what to do next. Do you want them to start a free trial? Sign up for your email list? Watch a free video? Make it clear what the next step is. And keep updating and testing your homepage. Figuring out the best combination of text, images, and videos can take a while. But it’s crucial to get it right! Once you have a homepage, it’s time to start building the rest of your site. And that means you’re going to need your videos. So start uploading! Again, depending on how you decide to build your site, there will be different processes and requirements for how to upload your videos. You may also find that free and lower-cost sites limit the size or quality of your videos. Most platforms have a simple uploader that you can use. Find out how your platform takes videos and start uploading! Again, this is where a list of templates will come in handy. 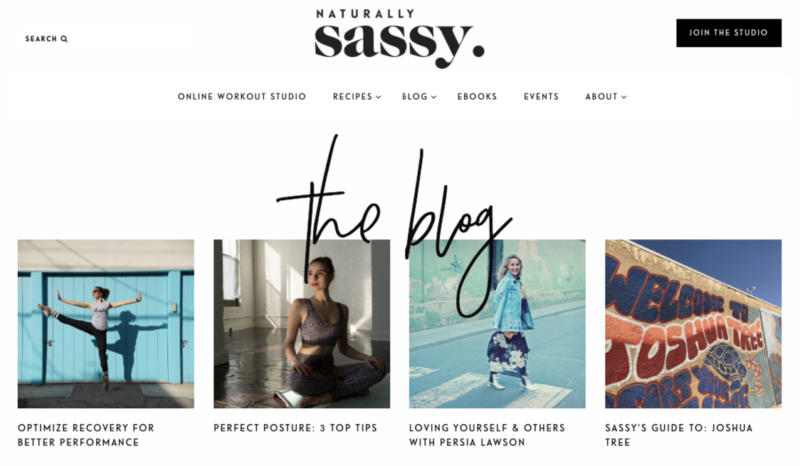 Your site needs to be both aesthetically pleasing and easy to use. Which isn’t always easy to reconcile. How are you going to display your videos? If you’re offering a free service (or even some free content to get your visitors hooked) a simple chronological display might work. It needs to be easy for visitors to find what they’re looking for, so a clear organizational system is crucial. To create visual appeal, make sure your page looks good and presents thumbnails from your videos in a professional-looking way. Show the variety and value of your videos. What will appeal to your audience? Just as on your homepage, make it clear what the next step is for visitors. As you can see, creating a great video display can be complicated. In the beginning, you can keep it simple. Show some stills from your videos along with the titles and emphasize the value of your videos. You may find that you’re limited in your options for page design here. You may only have a couple of templates or no template at all. It might be a good idea to take inspiration from your own favorite video sites. Do you want the edgy look of Magic Stream above? Or the airier style of Rachel Reinert, below? Work with what you have to create the most appealing video display you can. If you’re going to make money with your video website, you need to make it easy for people to pay you. Even the slightest friction in the experience can cause people to abandon their purchase. Which is why it’s a good idea to offer a variety of payment methods. If you can accept credit cards, Stripe, and PayPal, you’re off to a good start. There are tons of payment services out there, but the one you use may be dictated by the website hosting platform you use. For example, Squarespace offers credit card, Apple Pay, and PayPal. If you build your own website from scratch (as you might do if you decide to use WordPress on rented server space), you can use any payment provider you want. For simplicity’s sake, we recommend starting with Paypal. It lets you accept the most common forms of payment, and there’s a good chance that you already have an account. If you’re hoping to use more complicated purchase and access methods, like allowing someone to buy access to a specific set of videos for a limited time, you’ll need to think about. Sites that are built specifically for video sharing and selling are going to give you the most option for how to provide access to your customers and how they can pay. Once you have a homepage, a video display, and (most likely) a payment solution, your video website is ready! Now the only thing you need is visitors. One of the best ways to get visitors—without spending a bunch of money—is by starting a blog. The art of attracting visitors with a blog is complicated and can be difficult. But if you write about the things that your audience cares about, and write consistently, you’ll start generating traffic. Keep in mind that this takes a lot of effort. And writing consistently means you need to put the time in. If you want visitors right away, you may be better off paying for ads or promoting your site on social media. But for long-term, sustainable growth, a blog is the way to go. Remember that your blog posts need to be valuable. Start with common questions your visitors might have, and write detailed posts that help them solve problems. Show your expertise in your field. Recommend resources and strategies. Write how-tos and walkthroughs. This is the type of blog content that will help you build traffic to your video website. It’s easy to get caught up in the little things that come with building a video website. But the most important thing you can do is to just get started. Start building your site and uploading your videos. Start promoting your content. Start blogging and getting your name out there. You’ll have plenty of time to experiment to find out what works best, but you can’t do that unless you have a site to work with. Now that you know how to create a video website, you can lay the groundwork for success.